TORONTO, Canada – October 15, 2012 – Intuitive thinking and product innovation have resulted in a highly efficient cashless system for staff and students at New Hampshire’s Bishop Guertin High School says ITC Systems CEO Campbell Richardson. 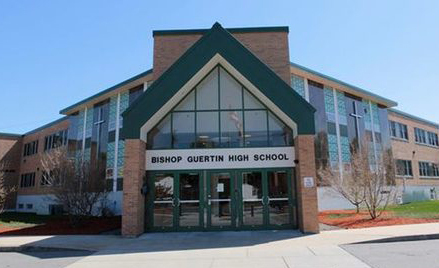 Bishop Guertin is a private Catholic High School in Nashua, New Hampshire, and it has 855 students in grades nine through 12. The school had offered cashless food service and vending for many years before switching to an ITC Systems one-card program in 2009. Students’ cards have a contact chip rather than a magnetic stripe and the school has invested in ITC Systems’ Multi-Plan and Web Purchase programs. Bishop Guertin currently operates four registers and five vending machines. Lynn Morin, Director of Food Service for Nexdine, the school’s food service contractor, says she uses the ITC Systems MultiPlan program to track sales by class – freshman, sophomore, junior and senior. She then uses this data to plan special offers to students that increase participation by group.